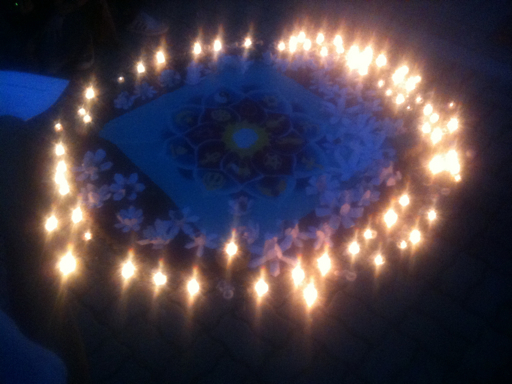 Yesterday we presented the lotus flowers at an inter-faith prayer ceremony in front of the Japanese embassy. In a moving moment, one of the youth presented a lotus to the embassy general secretary. 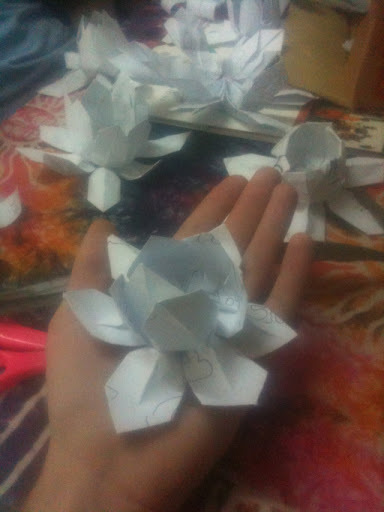 Last night Sarah and I gathered with the Muslim/Christian Youth Group in Tala to make the lotus origami prayers. 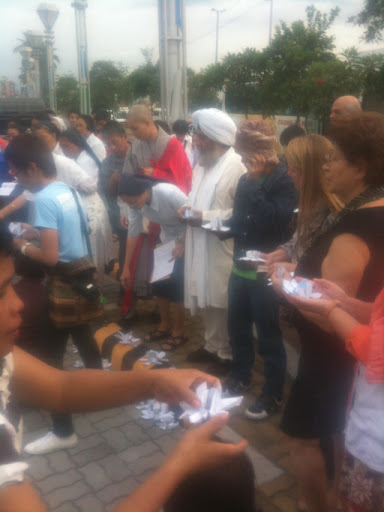 Today will be aranging them in a ceremony in front of the Japanese embassy in Manila. It bodes to be beautiful. This weekend I have been staying with and leading workshops from the community center in Tala. Coloocan-- a barrio of Manila. It is a humble urban community where chickens and ducks walk around on the earthen streets and children play barefoot amidst the cinder block houses. Roosters crow and tricycles putter loudly. These tricycles are the motorcycle taxis are the main means of transportation, mainly because they are ideal for navigating around the ducks, chickens and other speed bumps on the narrow streets. In 2009 a Typhoon caused two dams to overflow. A wall of water flooded their neighborhood river and washed out everything. The youth told me stories about how they had to flee their homes with but their shirt on their back and take shelter in the basketball court. They told me how when the water receded everything was encased in mud. Words like destruction, sadness, loss, calamity, loss of control, and more came up as we talked about it. 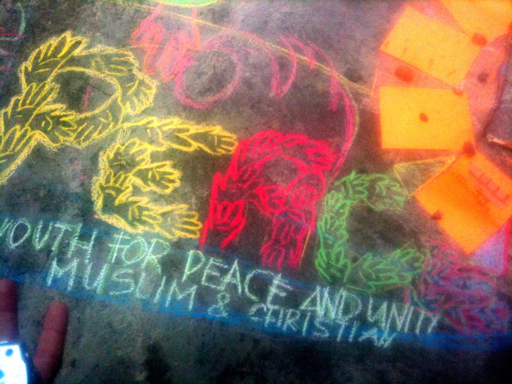 But then so too did the words hope, coming together, community, help and unity. Unity was a word they all agreed on was best to describe what was most important in the aftermath. 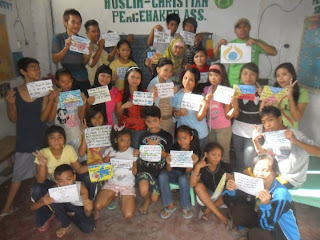 The Christians and Muslims that live here all came together to help each other out. The youth have a deep empathy for what is happening in Japan. They've been through it. 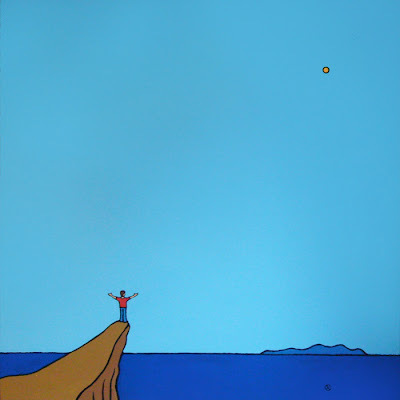 I was here mainly to do a social media workshop, but that has turned into a spontaneous art prayer workshop. The children wrote out their prayers for Japan on pieces of paper and we photographed them. These we uploaded as a Facebook album-- using their new social media skills. 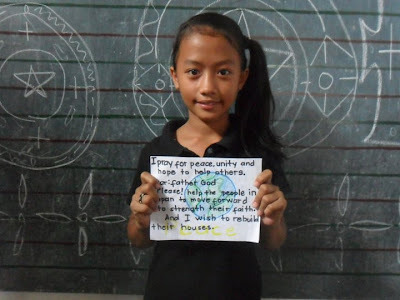 Here are their prayers for unity in Japan. Today I write from Coloocan, a barrio on the edge of Manila. I am out here because I am very excited about a group of youths. Here in this urban community, Muslims and Christians live together in harmony in their humble yet warm and welcoming homes. I am staying with Eric and Emily who are the elder leaders for the interfaith youth group that is based here. I am very grateful for their kind and generous hospitality and the group they are helping to cultivate. 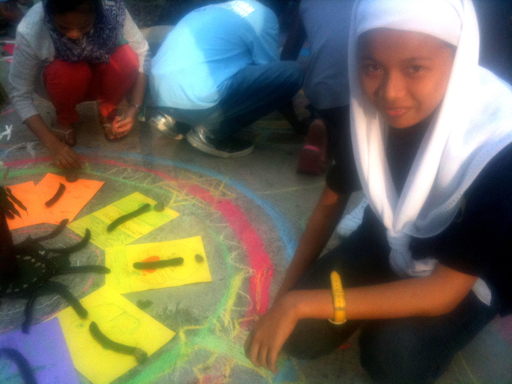 These youth, who range in age from 10 to 18 are exceptionally motivated. Over the last few years the have been trained by Peacemaker's circle-- a Manila NGO that through the United Religions Initiative helps set up "cooperation circles". 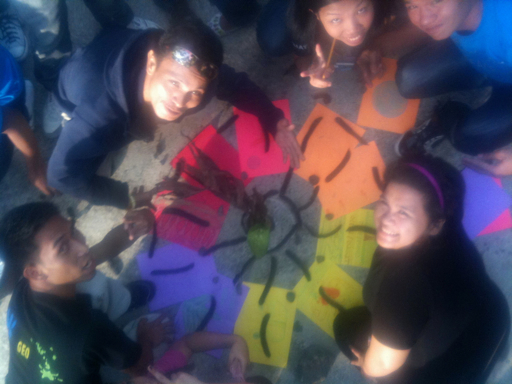 This youth group is one such circle. They do some awesome stuff. It was with them that we deep the Lights for Peace project which President Aquino, generals, and civic leaders partook-- literally hand in hand with the youth. 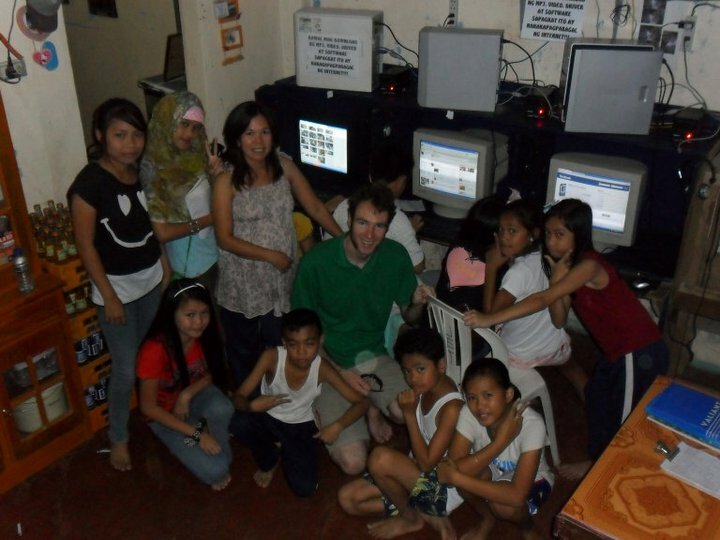 In my stay last month in their community I noticed their voracious passion for Facebook. They are all on. They all spend hours each day chatting and sharing and poking and gaming and messaging. 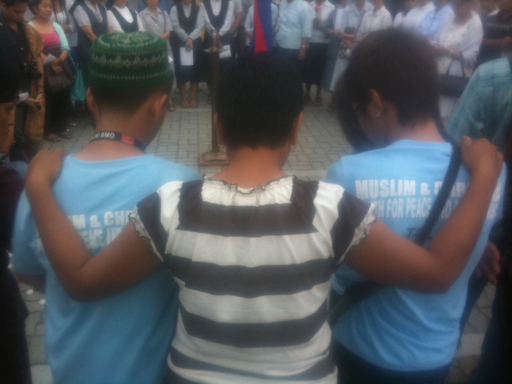 However, the discrepancy between their peace passion and their facebook passion was palpable. About 30 of them partook in two sessions today. We went over really basic fundamentals of Facebook systems and most importantly-- organizing as a group. The idea being, that with a little more understanding of the social media systems they are already using, they can co-creatively dramatically empower their social actions. Social media is where it is at these days. This is where the potential lies to spark movements and manifestations. We all got excited. Now they too see the potential and our day ended in a internet cafe with a two hour flurry of connection coordination. What a great experience and what a great community! 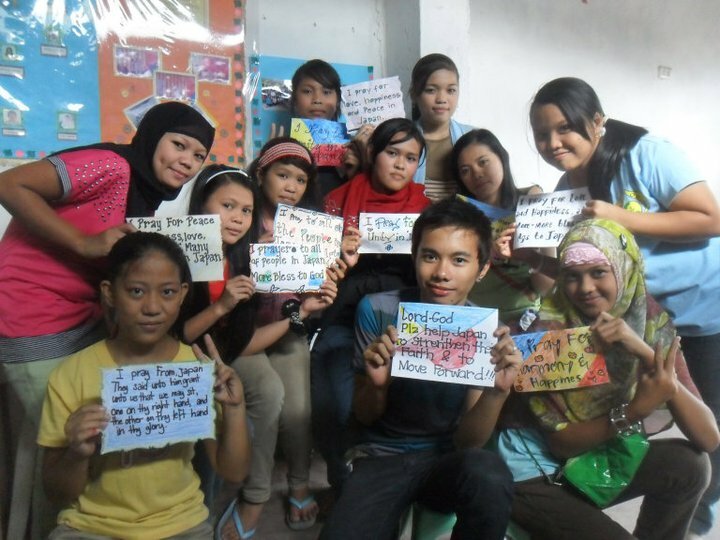 This weekend, I made the trip down to Manila to do some exciting art with 80 Muslim and Christian Youth leaders! Two different communities for the first time at an Eco park in the city to get to know each and continue us their peacemaker training. 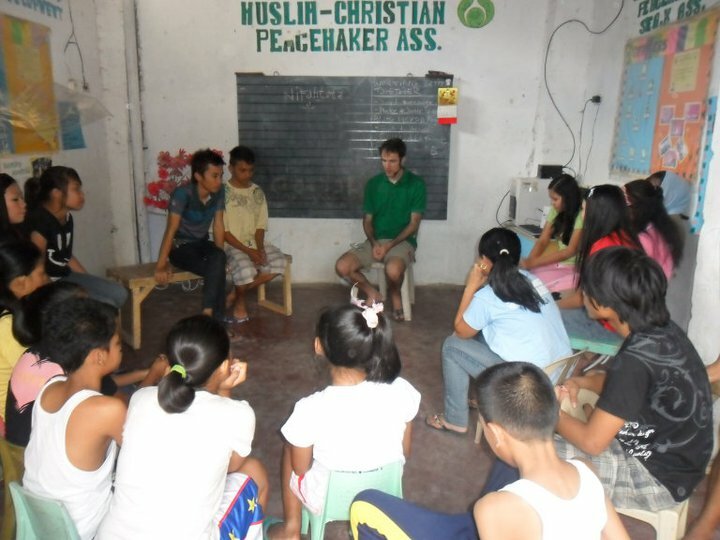 United Religions Initiative has been working with them to train them as leaders and peacemakers. What an awesome group they've got going! 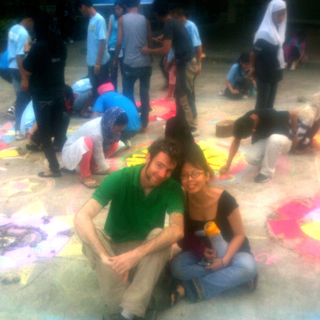 Sarah, Orlan and I led them through the fundamentals of mandalas and cocreation. 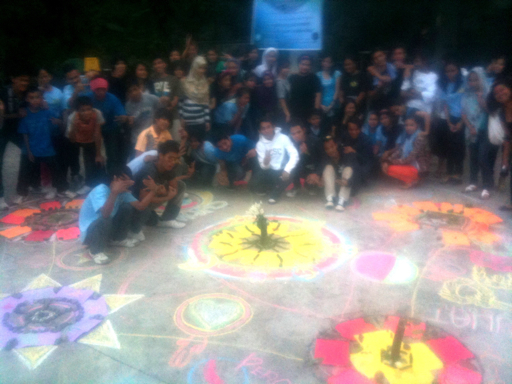 This mandala we made out of chalk, their personal drawings, leaves and stones was the culmination of the day. These are amazing kids with great potential. During my time with them, I shared some social media basics. All these kids use Facebook. If they come together virtually as well as they did this weekend to co-create the sky is the limit! This beautiful collaborative mandala is fantastic example of what they will achieve working together.